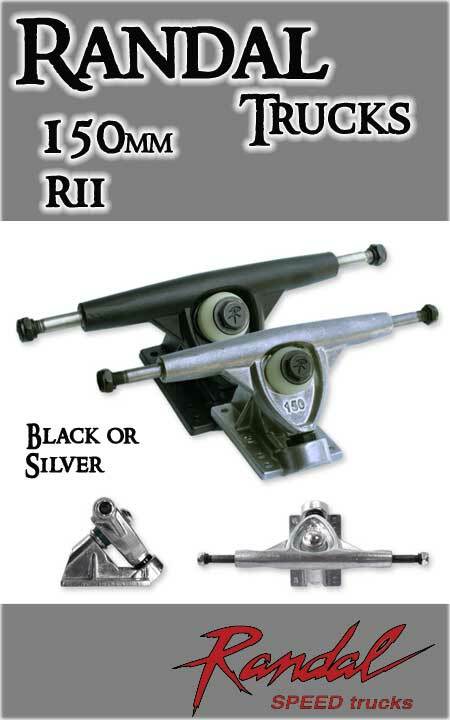 The Randal RII line is designed for quick turning with responsive geometry and fixed axle. Made in the USA. Each truck sold individually. Offered in two finishes - silver (35d, 42d or 50d baseplate) or black (50d baseplate only). Choose color/baseplate degree when ordering. Hanger widths 150mm (with axle width 220mm).